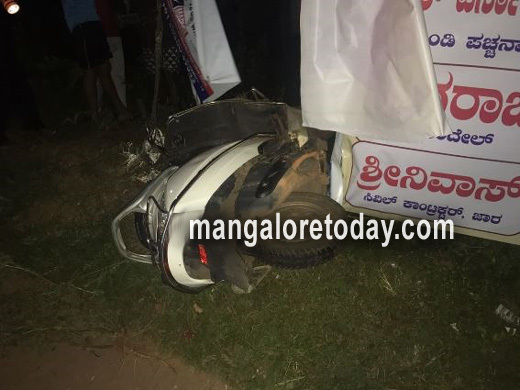 Mangaluru,Oct 09, 2017 : A scooter rider was critically injured in hit-and-run accident at Bondel on October 09, Monday night. The eyewitness said that both the vehicle were moving in the same direction. Rider suffered serious head injuries is being rushed to Hospital. The identity of the rider is yet to ascertain. If the person was one among your family would you have left the person struggling for life , then why can;t you understand others pain.